Can this item be used for residential purposes? This item is not intended for residential use. The right is reserved to deny shipment of this item for residential usage. If this occurs, you will be notified as soon as possible. Please contact our Customer Solutions team prior to placing your order if you have any questions! 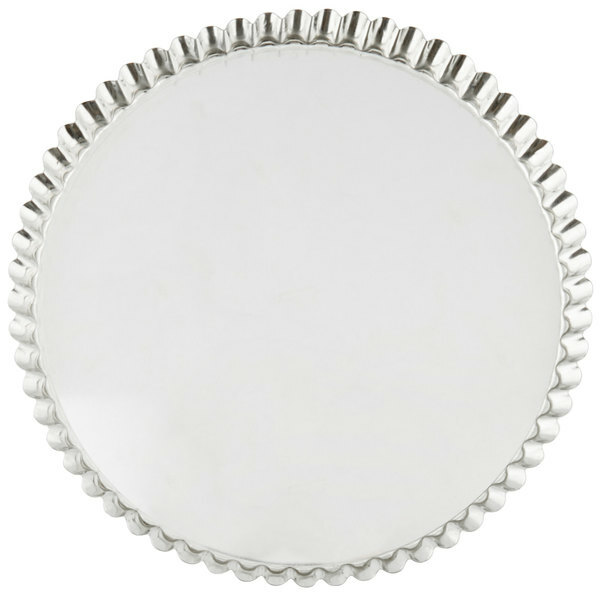 This Gobel 9 3/8" tart / quiche pan is made of tin plated steel and features a removable bottom that allows you to slip off the outer ring easily without marring your beautiful creation. 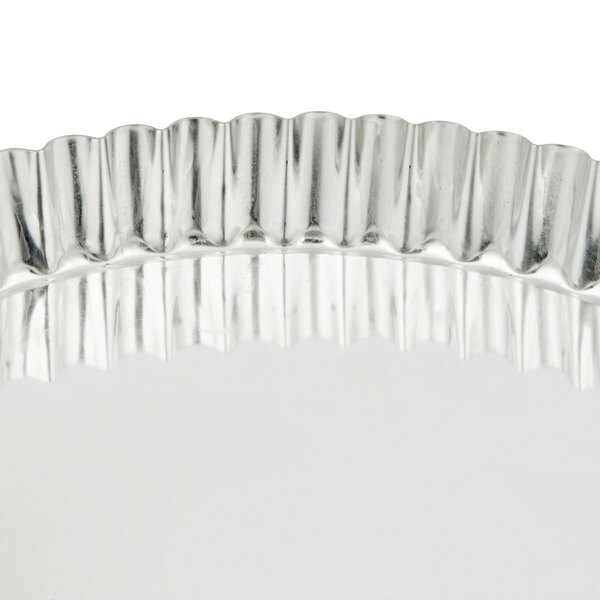 This 9 3/8" round, tin plated tart / quiche pan also features 1" fluted sides that produce neat and professional-looking pastries capable of holding the heavy ingredients of a quiche or a fruit tart. 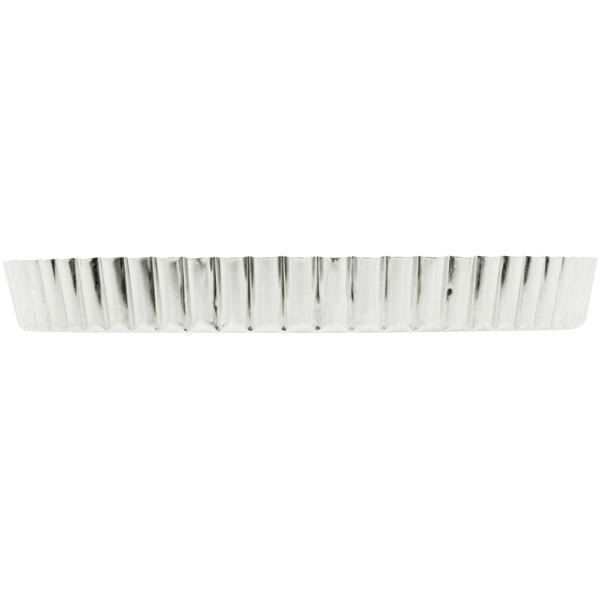 This tart pan was a great price and is well constructed. 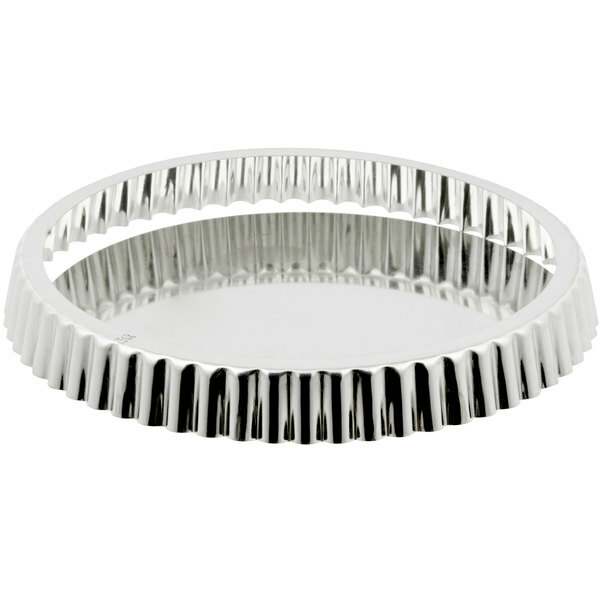 I am very happy with it, and it works great for my chocolate tarts. 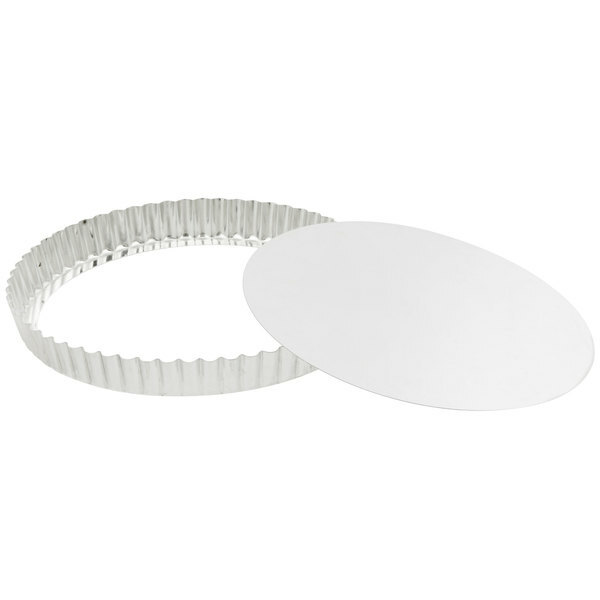 This tart pan with a removable bottom worked great. 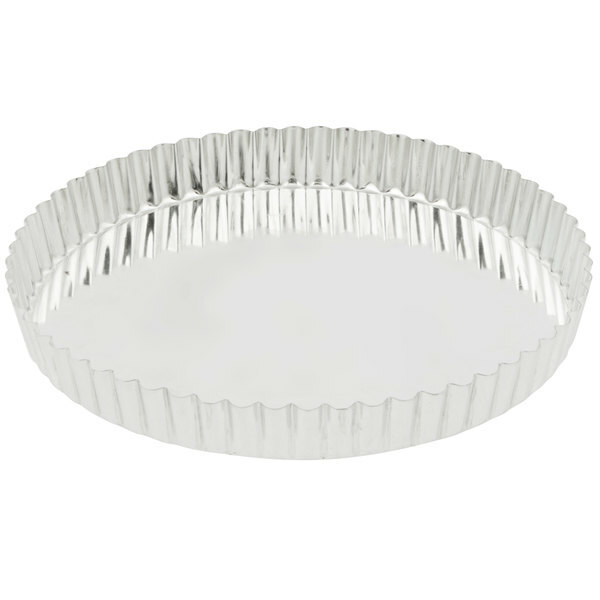 The outer ring came off extremely easily when I took it out of the oven. It gave a beautiful rippled look on the edges. A good basic quiche pan but I ended up preferring the non-stick pans instead. After a lot of use the aluminum started to react with my crust dough, leaving small black marks on the dough if the crust was refrigerated. 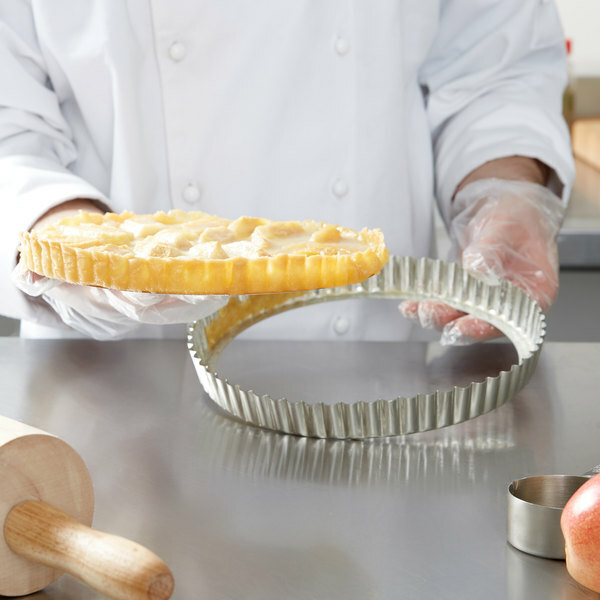 Boy...what a different having a tart/quiche pan with a removable bottom. 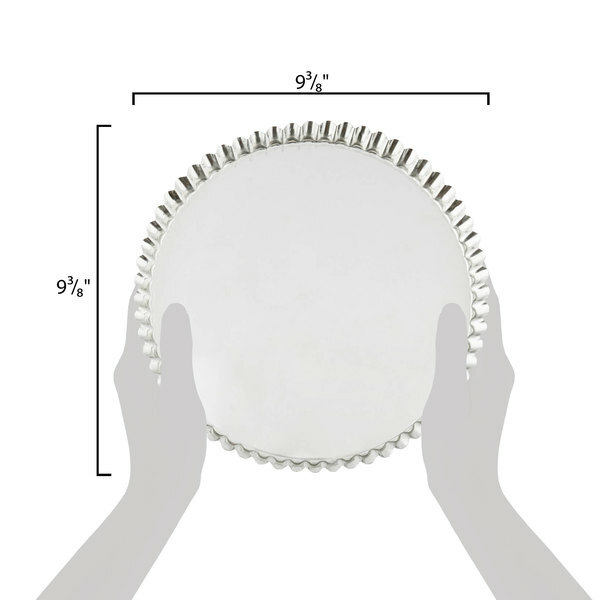 Great for my favorite lemon tart. 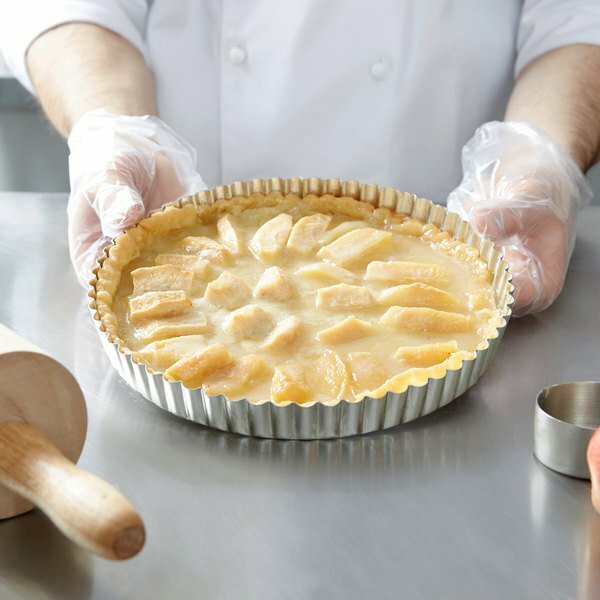 Recently made a pear tart using it and it came out beautifully. 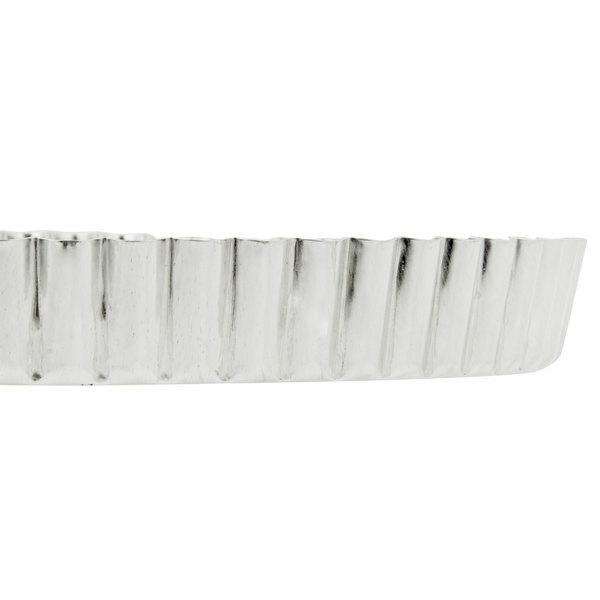 Sturdy product, cleans easily and great value. The slightly higher rim on these pans are perfect for my quiches. I have less filling spilling over the edge of my crust which makes clean-up a breeze.